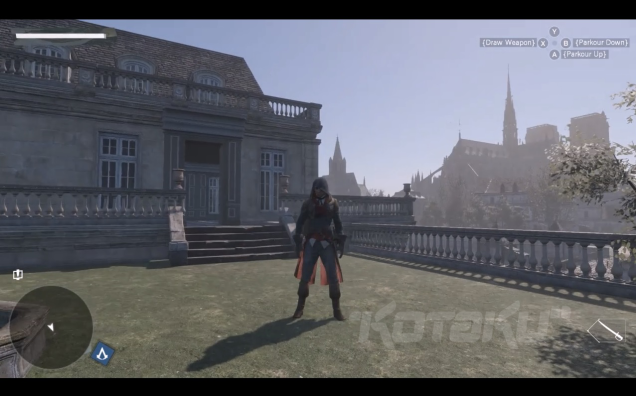 Just yesterday, an anonymous source sent in leaked screenshots of this fall's new Assassin's Creed game to a man named Jason Schreier who writes for kotaku.com. I have included the screenshots below the read in a spoiler. 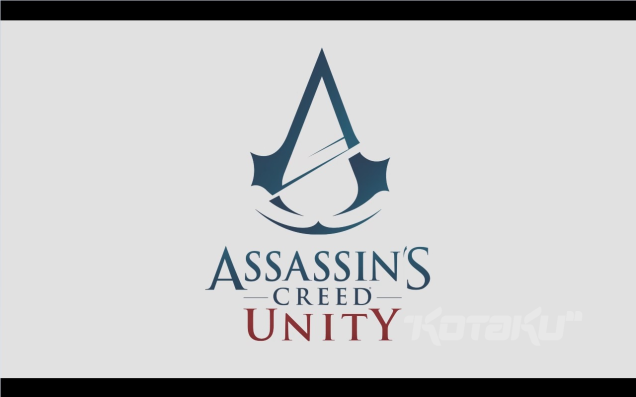 Judging by the screenshots, the game is named, or referred to as Unity and is set at least partly in 18th-century Paris, France. 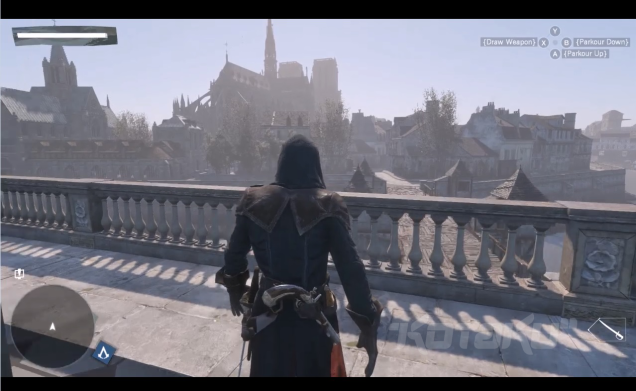 Within the images, various landmarks such as Notre Dame and the Seine River can be seen, but it should be noted that the screenshots do not look altogether completed so to speak. It is more likely than not that these screenshots are coming from an unfinished version of the game, and thus when the game comes out, the world will look differently. Nevertheless, even in this stage, the scenery looks quite nice. According to Schreier and "developer sources" he speaks of, this title is one of two Assassin's Creed games that will be released this year. Apparently, Unity will be released for the Xbox One and the PS4 and another game, possibly referred to as Comet, will be released for the Xbox 360 or PS3. He continues to explain that he has not heard any news on whether or not the AC titles will be made for the Wii U and he presumes that both games will be made for PC. Additionally, he claims that within the new title, there will be buttons assigned to parkour up and down walls as a part of a new navigation/movement mechanic. Of course, Schreier's evidence is not totally concrete, but it is nothing too farfetched. Afterall, a new Assassin's Creed has been released every fall since 2009 and as far as the leaked images being legitimate, many feel like the task of faking them would pretty difficult and futile. Actually, some believe that the images may have been an intentional leak to spark up talk. Going further, other rumors had surfaced about Unity prior to these screenshots being leaked. Some were corroborated by Examiner's Nicholas Gigante, who has been pretty spot-on the past when it came to rumors about Ubisoft's activities. 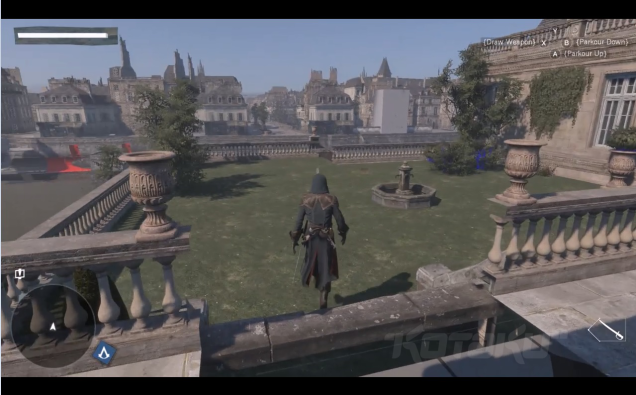 In addition to the previous information about the time period and location, Gigante claims that the main character of the game will be named "Arno." 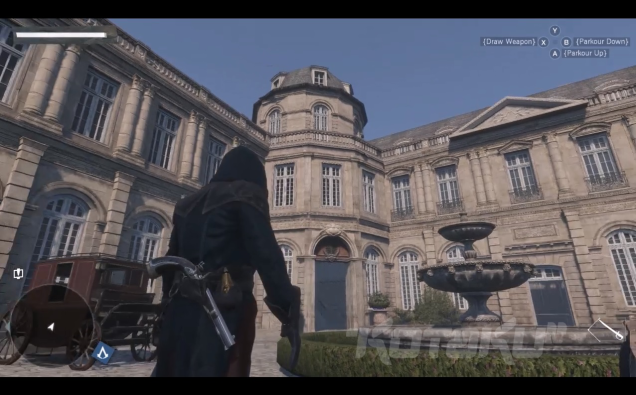 Some other rumors were stirred up because of an in-game e-mail in Assassin's Creed IV which hinted at various possible time periods for future titles of the series, one of which being The French Revolution. 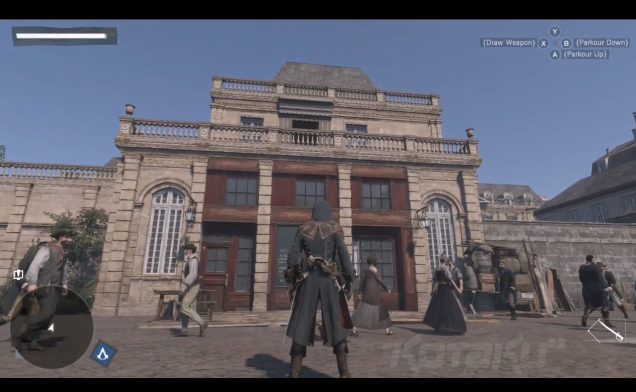 When asked about the images by Kotaku, Ubisoft declined to comment on the leaked images. Because of this, it sort of strengthens the viewpoint that Ubisoft may have purposely leaked the images to get people talking and grab their attention. What do you think about the images and about the AC series in general? In my humble opinion, I cannot help but feel that their games are rushed and overused. Grant it, I do love the series and how you get to see the world in different time periods. The whole combination of the religious, political, societal, and artistic dependencies is something to appreciate. Nevertheless, I wish they would take their time more. I am still on Assassin's Creed 3 and I did not nor do I plan on getting Black Flag. Nevertheless, this game excites me; I would not mind hanging out around the guillotine with Robespierre.